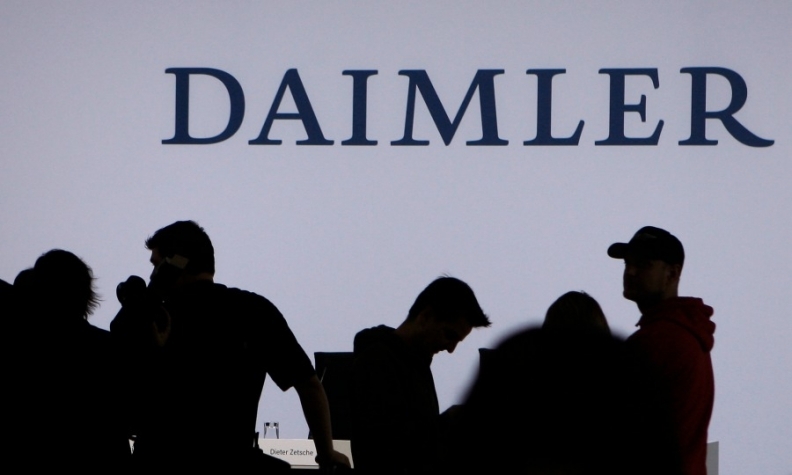 AFFALTERBACH, Germany (Reuters) -- Daimler is "fundamentally open" to talks on deeper cooperation with Aston Martin's new boss, Andy Palmer, Daimler CEO Dieter Zetsche said. Speaking a week after the UK sports car maker named Palmer, Nissan's former chief planning officer, as its new CEO, Zetsche said Palmer would be missed in Daimler's dealings with Renault-Nissan but a plus in its collaboration with Aston. "It's now up the new CEO to further develop Aston Martin's strategy," Zetsche said when asked about deeper cooperation with privately owned Aston Martin. "We're fundamentally open to all talks," he said. Palmer's move adds to an exodus of talent from Nissan and alliance partner Renault but may be a turning point for Aston Martin, already preparing to roll out new models with engines supplied by 4 percent shareholder Daimler. Palmer had unsuccessfully sought to persuade Nissan CEO Carlos Ghosn to invest in the sports car maker before he left the Japanese company, sources have said. In May last year Italian tycoon Andrea Bonomi's Investindustrial bought 37.5 percent of Aston Martin in a $241 million deal with Kuwaiti controlling shareholders Investment Dar and Adeem Investment. Two months later, Aston announced a deal to develop a new generation of V-8 engines with AMG, the Mercedes-Benz high-performance division of Daimler, as well as sharing some electronics.